Germany’s Federal Commissioner for Data Protection and Freedom of Information has issued a warning over the data privacy implications of the EU’s proposed Article 13 legislation. Ulrich Kelber says an “oligopoly” of filtering vendors would have significantly increased access to vast swathes of user data, unless the EU can explain how its aims can be achieved without filtering. After lengthy discussion, campaigning, and sometimes hostile debate, earlier this month the European Parliament and Council finally agreed on the final text of the EU’s copyright reform proposals. Based on a compromise deal struck between France and Germany, the final version of Article 13 requires for-profit Internet platforms to license content from copyright holders. In the event that’s not possible, platforms will be required to take infringing content down and ensure that it’s not re-uploaded to their services. Proponents of the legislation argue that this does not automatically mean the use of so-called “upload filters” but those in opposition simply cannot see any way the objectives can be achieved without them. Needless to say, privacy advocates aren’t happy with the prospect of their data being analyzed every time they carry out an upload to qualifying platforms. While most of the furor has centered around known false positive weaknesses in existing content recognition systems such as YouTube’s Content ID, there is increasing concern that only the richest of platforms will be able to build their own competing systems. Those that don’t will be required to use third-party vendors and the fear is that the big players will scoop up the market, effectively channeling the traffic of millions of EU citizens through a small number of companies. This, it appears, has raised alarm bells in the office of Ulrich Kelber, Germany’s Federal Commissioner for Data Protection and Freedom of Information. Florian Mueller of fosspatents.com and officially approved by the government agency), Kelber states that the proposals currently on the table in Brussels pose significant risks to data privacy rights. “Even though upload filters are not explicitly mandated by the bill, they will be employed as a practical effect. Especially smaller platform operators and service providers will not be in a position to conclude license agreements with all [copy]right holders. Nor will they be able to make the software develoment effort to create upload filters of their own,” Kelber writes. This, Kelber says, would have the undesirable effect of a small number of companies being able to scoop up even more data on Internet users, as they examine all uploads for allegedly infringing content. “At the end of the day, this would result in an oligopoly consisting of a few vendors of filtering technologies, which would then be instrumental to more or less the entire Internet data traffic of relevant platforms and services,” Kelber notes. Kelber, a computer scientist himself, describes this looming side-effect of Article 13 as a “clear and present danger” and is calling on the EU to explain how the regime detailed in the proposals can be achieved without upload filters, as many supporters are claiming. 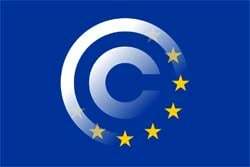 “If the EU believes platform operators can meet their new obligations [under the proposed copyright directive] without upload filters, it must make a clear showing. That is why I am awaiting with great interest the [European] Commission’s forthcoming recommendations. “In the other event, data privacy considerations require a thorough overhaul of the bill. Notwithstanding the need to update the protection of author’s rights in our times, such a measure must not harm or compromise the protection of Internet users’ data,” he concludes. Also this week, the European Parliament’s legal affairs committee voted through the final draft of the Copyright Directive, with sixteen votes in favor and nine against. Then, following the ‘mob’ PR disaster (1,2) last month, the EU managed to make a mess of things again with the following Tweet/video. If you didn’t spot the need for clarification or correction of errors already, here’s Julia Reda MEP with the details. While the errors are of course a problem, the fact that the EU is weighing in yet again in a manner that appears to be biased is not being well received by opponents of Article 13. Indeed, it only appears to have further fueled the fire. At the time of writing more than 4.9 million people have signed a Change.org petition to stop Article 13 , with 67 MEPs publicly pledging to vote against the law.